Graphene is a highly promising material for use in electronics. But this requires a good-quality metal layer on top of the graphene. Realising that has proved difficult up until now. FOM researcher René Vervuurt (Eindhoven University of Technology) managed to solve the problem using atomic layer deposition. 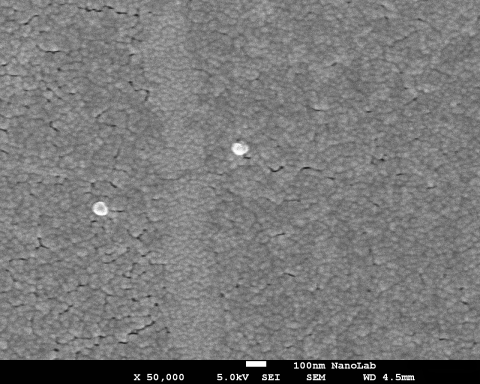 Vervuurt wanted to apply a platinum layer to graphene so that he could make low-resistance contacts on graphene. 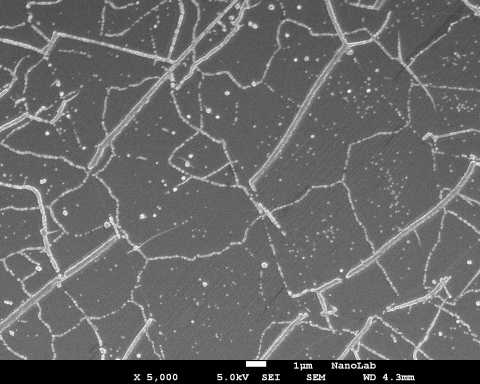 Unfortunately in the initial experiments with atomic layer deposition the platinum was found only to grow on defects, folds and grain boundaries. The structures this gave rise to are suitable for catalytic applications, such as in fuel cells, but are not good enough for the construction of an electrical contact. The researchers therefore first of all treated the graphene with a weak hydrogen plasma. This reversible treatment created hydrogen groups on the graphene. The platinum could subsequently adsorb onto these. This created a uniform close layer of platinum on the graphene. The researchers could also manipulate the growth process by deciding which parts of the graphene to treat with a hydrogen plasma. 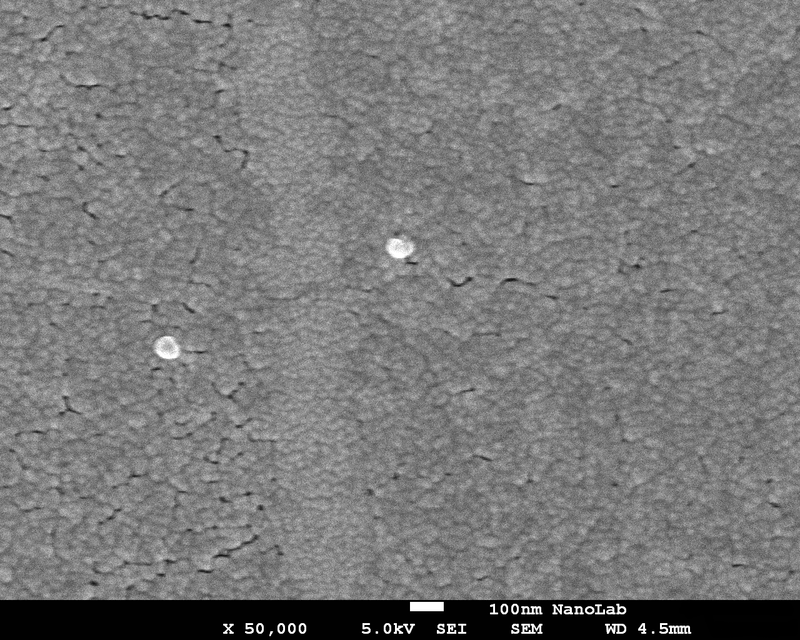 In a follow-up study the scientists will investigate the quality of the contact between the platinum and the graphene. During the initial experiments with atomic layer deposition the platinum (white) only grew on defects, folds and grain boundaries. That is good enough for applications in catalysis but not for in electronics. The platinum does, however, grow in a closed layer on graphene that has been treated with a hydrogen plasma. That opens up the way for applications in electronics.